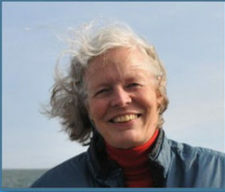 Dr. Astrid van Ginneken has worked with the Center for Whale Research since 1987. She is co-principle investigator for CWR’s Orca Survey and has published both scientific and popular articles in addition to a book about killer whales. Astrid has great enthusiasm for Southern Resident orcas and her stories of these wonderful creatures are beautifully told. Please join us for this special event! Seating is limited and first come, first serve.